Provide comfort for the family of Joseph Paccione with a meaningful gesture of sympathy. 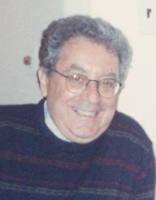 Joseph Paccione, age 92, of Manasquan, NJ, peacefully entered eternity Tuesday, April 2nd, 2019, after a short hospital stay. Joseph was born in Manhattan, New York City. He and spent his childhood and formative years on Staten Island. He went to St. Peter’s High School, where he played Varsity baseball. Joseph served in the US Army, during the Korean War, and was always proud to be a Veteran. He attended Wagner College upon returning back to the States, and briefly taught at Staten Island Academy. Joseph got his Master’s Degree in Education from Rutgers University, and went on to teach English and History at Scotch Plains/Fanwood Junior High. He moved on to Scotch Plains High School, where he became a Guidance Counselor. He helped many students achieve their goals, and was particularly proud when students would return years later to let him know of their accomplishments. Joseph placed students at Universities all over the Country, including West Point and Annapolis. Upon retiring, Joseph moved to Manasquan New Jersey. He also vacationed at a winter home in Jupiter Florida. He was an active member with the local Manasquan VFW Post. He was post Commandant for a term. Joseph was a sports enthusiast, and enjoyed watching Football, Hockey, and Baseball. He enjoyed playing bocce, and was active in several leagues. When he lived on Staten Island, he coached baseball with the South Shore Little League. Joseph was predeceased by his wife Patricia Paccione in 2017 and his son Marty Paccione in 2018. He is survived by his daughter, Pam Paccione, and his son Don Paccione. Family and friends are invited to attend a visitation on Thursday April 11th, 2019 from 4 to 7 p.m. at Orender Family Home for Funerals 2643 Old Bridge Road Manasquan, New Jersey 08736. A Mass of Christian Burial will be 11 am Friday, April 12, 2019 at St. Martha’s R.C. Church, in Point Pleasant Borough. Cremation will be private. To send condolences to the family please visit www.orenderfamilyhome.com. To send flowers in memory of Joseph James Paccione, please visit our Heartfelt Sympathies Store.